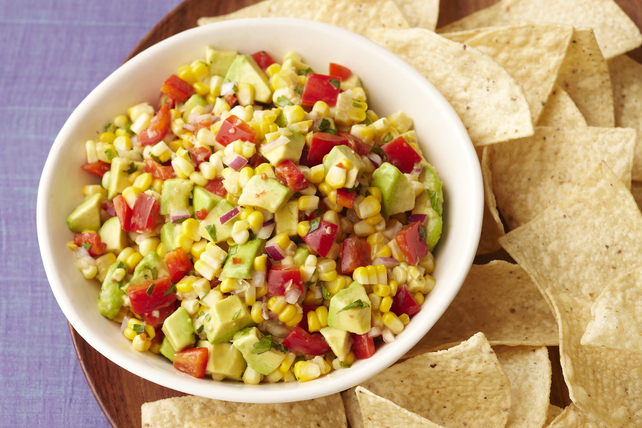 Two of summer's top ingredients—corn and avocado—in one salsa? This crowd-pleasing dip is a perfect match with crisp tortilla chips. Combine all ingredients except chips. You will need to cook 3 ears of corn to get the 1-1/2 cups corn kernels needed to prepare this delicious salsa. Salsa can be prepared ahead of time. Refrigerate up to 8 hours before serving.